Hawaii Five-O Premiere Kicks Off! When some fans camp out for two whole days just to get a good seat, you KNOW it’s gonna be a good party! 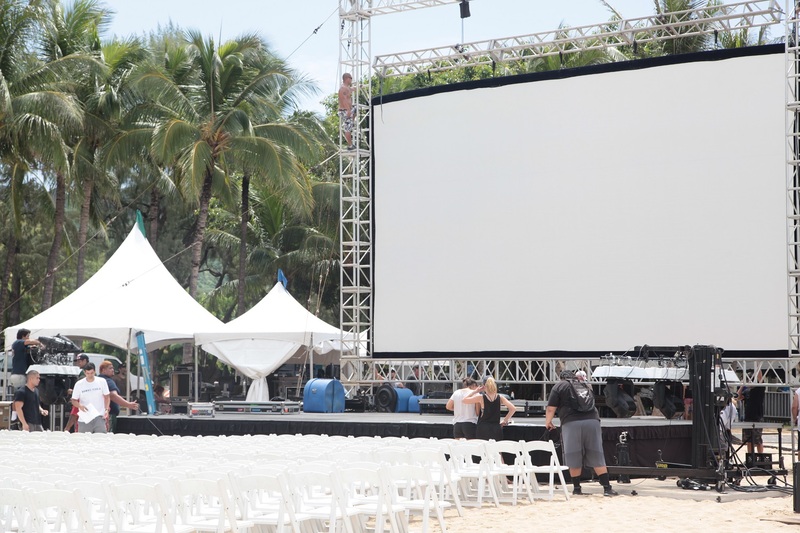 The Hawaii Five-O Premiere in Waikiki is off to an early start, as about one hundred fans came at dawn to stake their claim on a good seat for tonight’s event. Covered by bright blue umbrellas, many of the fans came as far away as Australia, just to catch a glimpse of their favorite cast members. If you’ve ever wondered how loyal Hawaii Five-O fans can be, one look at the crowd gathered fence-side in Waikiki, and it’s clear these fans are some of the most dedicated you’ll find. Hawaii Aloha Travel’s Aloha Bruce was there as Executive Producer Peter Lenkov arrived at Queen’s Beach about noon to greet fans, sign autographs, and scope out the scene in anticipation for tonight’s big event. To reward (and test) faithful fans, show reps asked the crowd to answer a series of trivia questions in return for show T-shirts. Some Hawaii Five-O fans camped out for two days, just to get a good seat for the event. The first question was true/false: “Danny Williams as a boy was kicked out of the boy scouts.” Out of the shouting crowd, one person answered correctly, “True!” and was rewarded with a T-shirt. Show reps also asked who traveled the farthest. Out of the chaos, a voice answered, “20 hours,” a number that impressed the show reps enough to reward the fan with (you guessed it) a T-shirt. Finally, a fan who’s celebrating a birthday today received some special recognition from the reps—a shout-out and a T-shirt, of course! The screen where Season Six Episode One will premiere. 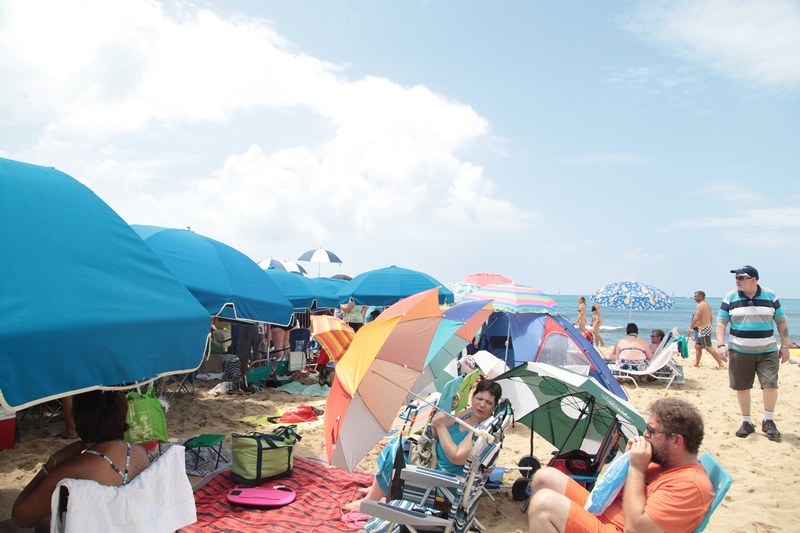 Throughout the afternoon, producers and crews will be hard at work, setting up for the big event, and crowds will continue to stream into the venue, toting their umbrellas, tents, and chairs. The weather even looks like it’s shaping up to stay dry; although, it’s already 80 degrees in the hot sun, and temperatures are expected to rise. Stay with Aloha Bruce as he reports live via Periscope, bringing you cast member interviews, red carpet commentary, and up-to-the-minute reviews of all the happenings at tonight’s event. Hawaii Aloha Travel is your ticket to the Hawaii Five-O Premiere in Waikiki!